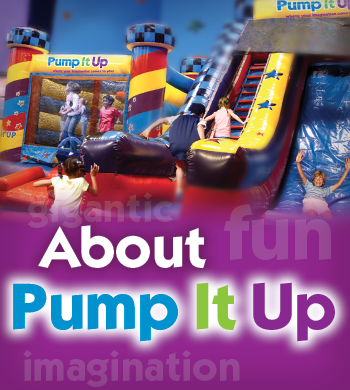 Pump It Up of Shawnee Mission opened its doors in June of 2005 and remains the favorite inflatable party facility in the Kansas City area. We support several local charitable organizations, including Harvesters, the Community Blood Center, and Autism Speaks. We hold a contest each year with the prize being a free fundraiser for a local school. We are proud to be locally owned and operated, and we strive to make your children happy.